The weird irony about kids and sleep is that, if your pediatricians are like mine, they constantly ask you how your kids are sleeping (weirdly enough, they never ask about car seats and which direction the girls are facing even though they are probably way more likely to be hurt/killed in a car accident than a middle of the night awakening...); and while many pediatricians are quick to lecture you about what your kid should or should not be doing at bed time, they are sort of short on useful tips (cry it out (CIO) or wait it out). Not that I am opposed to CIO. But what do you do with a kid who is in a "big kid bed" and can just get out of it any old time they please? What do you do when you have other light sleepers in the house? And what do you do if your kid has special needs or is prone to things like throwing up all over the bed from screaming out for you? Then you are probably going to be a little weary of CIO. I don't know about anybody else, but the "no cry" "sleep solutions" were sort of none of the above. I like to file that one under, "wait it out." So what the heck, right? The good news is, this book. It is genius. Sleep Better! is written for children with special needs, but like many interventions for children with special needs, this is good for anyone. There is even a chapter on discipline that is also fantastic. Sleep Restriction For anyone who struggles with getting a kid to sleep through the night (often goes hand in hand with trouble falling asleep, but kids can also be in an either/or situation), this was an equally interesting suggestion. First, calculate how much sleep your kid is actually getting. Then, multiply that amount by 90 percent. So if your kid sleeps eight hours at night, 8 x .9 = 7.2 hours (and .2 x 60 minutes = 12 minutes) so you'd want to plan for your kid to get 7h and 12m of sleep (this recommends not going fewer than four hours, but holy crud if you were to that point, God help you). The suggested way to shorten the sleep is by waking your kid up early, as opposed to putting them to bed later. The first night, they will likely still wake up. Get them out of bed until they are drowsy so they associate their bed with sleep. The first day will be rough, but then they'll be extra sleepy for day two. The complicated thing for toddlers who still nap is that you don't want them to make this time up with naps. So if they try, wake them up from that too. Eventually, they'll build up enough of a sleep deficit (it will be rough at first, but hang in there) that they will likely sleep through the night. Once they do this for a week, start extending their night sleep time by fifteen minutes every successful week. Scheduled Awakenings If you have a kid who, like clockwork, always wakes up at 12:30 or 3:00 or something annoying, this is the plan for you (if the time varies, you should stick to sleep restriction). Once you know what that time is, go in to your kid's room and wake them up (what? I know! but wait) 30 minutes before that time. You'll just lightly wake them versus fully wake them (think, rub their back a bit versus picking them up) and hopefully they will wiggle and moan and roll back over and fall back asleep. If, instead, they totally wake up then you are screwed. Just kidding. but that means you'll need to get them out of bed until they are tired, and tomorrow try to get them fifteen minute earlier (and if that works, stick to that time! if not, you're screwed. not really, but they didn't get into that so I assume it isn't likely, but you probably just try 15 minutes early or sleep restriction). Repeat this plan each night until your child sleeps the full week (seven nights) without waking (i.e., doesn't wake up after you kinda woke them). Once this works, you can drop one scheduled wakening per week until your child can make it the full week without a scheduled or spontaneous wakening. If your child wakes up on their own, go back to seven nights a week (bummer, I know). This plan is probably more ideal for kids who wake up at 12 versus 3. It didn't mention this, but if your kid wakes up twice at regular times, I wonder if you could tackle one awakening at a time? This book also has lots of REALLY interesting information about the biology of sleep and sleep disorders (and makes a good, scientific case for "the Pause.") Hopefully you will never need ANY this (and if that's the case, I don't want to hear about it, keep your awesome sleep to yourself). 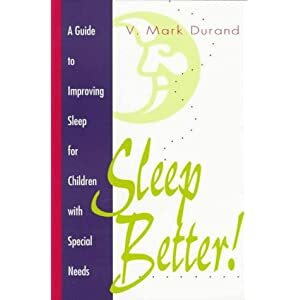 But this book is filled with great information to have if you sometimes lie awake at night wondering how your family might recover from potential sleep set backs (vacations, illnesses, etc.). Or if you lie awake at night wishing *someone* would Go The F to Sleep. Either way, this book is for you.